When looking for a hearty, comforting dish to satisfy your hunger pangs, this savory combination of potatoes, cream and bacon is a sure-fire pleaser. You would never guess that this warm-your-bones dish begins with a can of store-bought soup and can be prepared in under 20 minutes. 1. Fry bacon in saucepan until crisp. Remove and let cool on paper towel for 5 minutes. 2. Discard bacon fat from saucepan. 3. Wash and peel potato. Dice into small, bite-sized pieces. 4. Cook potato in saucepan until brown, about 10 minutes. 5. Add potato soup and cook over medium heat for about 6 minutes. 6. 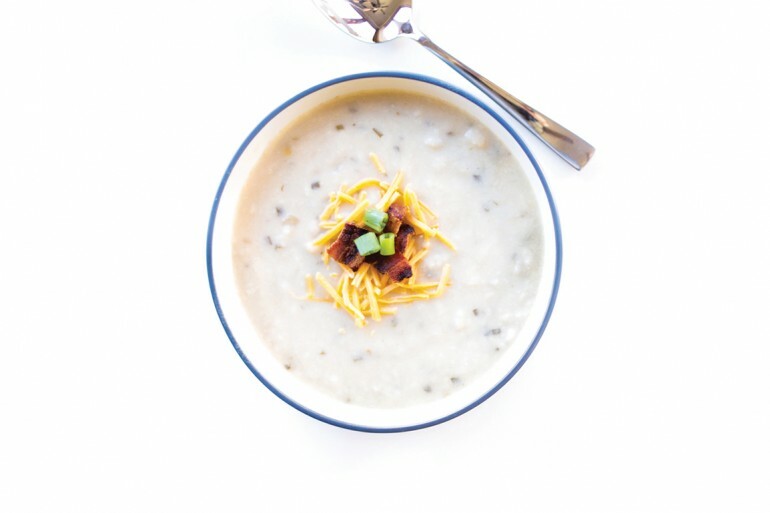 Ladle soup into two serving bowls and sprinkle with cheese, bacon and scallions.